We just rolled out a free new Google Chrome plugin that is sure to come in handy for all Chrome users. 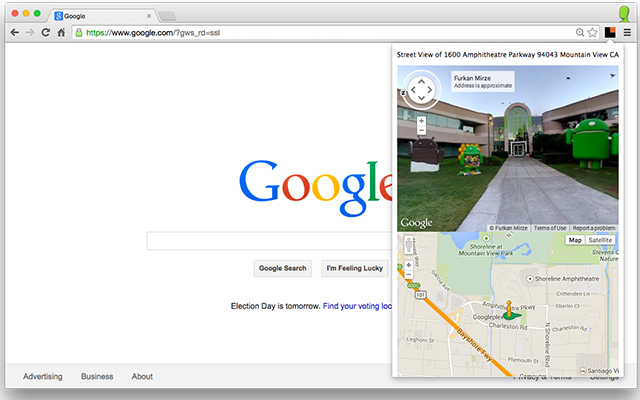 Click on the extension to see the Google Street View of the website’s registered owner. Available everywhere that Google Street View coverage exists. Free at the Chrome Web Store.